Are You at Risk of Carbon Monoxide Poisoning? Is your furnace over 20 years old? Don’t be like one of our recent clients!! After installing a carbon monoxide detector, it went off immediately that night. The gas company came and read 4 times the allowable limit in the house. That is a significant risk to life. All due to a hole in the furnace heat exchanger. 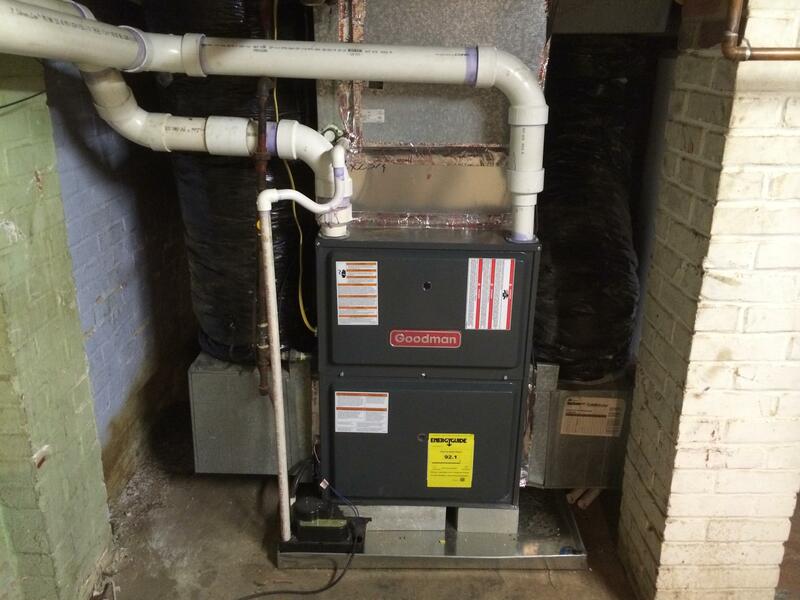 This deadly situation was avoided when we replaced their 25 year old furnace, saving the family from a high probability of carbon monoxide poisoning or even death. Don’t risk your family’s life. Call Alexander Heating and Air Conditioning today for a furnace check up. We will inspect your heat exchanger and make sure it is safe for you and your family. When they are dirty or every 3 months which ever comes first. I see so many homes with clogged air filters when I arrive. This can wreck havoc on your air conditioner and heater as well as your indoor air quality. Dirty filters can lead to frozen pipes, dirty blower fans, and burned out blower fan motors. Risking a $700 fan motor replacement bill over a $6 filter is ridiculous. Buy a box of filters from your local supply store and keep them in your closet. 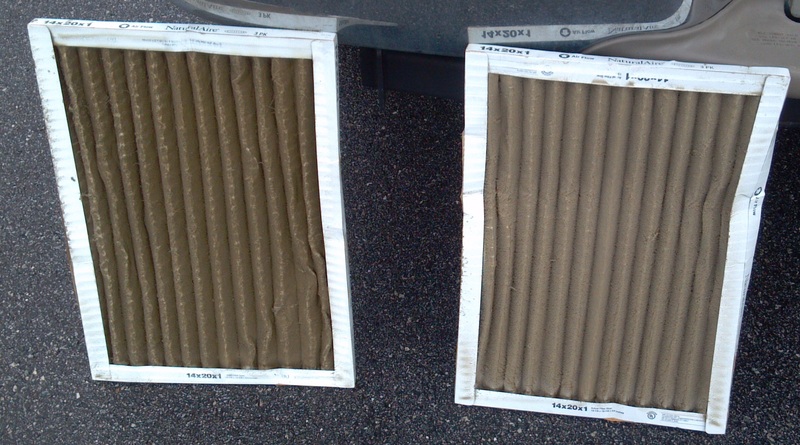 Then change those filters when they look gray or every 3 months. save yourself some agony and money. Pets and kids will clog your filter faster than a home without pets and kids? Think about it, pets have twice as many legs and move them twice as fast as an adult human. Therefore they will kick up more dust and other airborne particles much easier than otherwise. The airborne particles collect on your filters and halt the air flow to your air conditioner or furnace. This causes the fan motor to work harder and possibly shorten the life of the fan motor. Do not pay attention to the filter life displayed on the filter packaging. Unless the filter is thicker, such as a 2″ thick filter, most filters only last around a month in the average household. Even if the filter says a 3 month filter, it just means it is a more dense filter that collects more airborne particles. And as was just pointed out, the more airborne particles collected, the more frequent you will need to replace the filter to prevent the loss of air flow. Help! My Thermostat is Blank! Help! My heat is not working. I set my thermostat to 69 but my heat only gets up to 67 then it stops. What is wrong?